The One Foundation, the first officially recognized private charitable fundraising organization operating in China, has now also become the first Chinese organization to start accepting Bitcoin donations. The organization published a donation address on April 23, and received 230 BTC ($30,000) within two days, instantly making it one of the most successful Bitcoin charities to date. 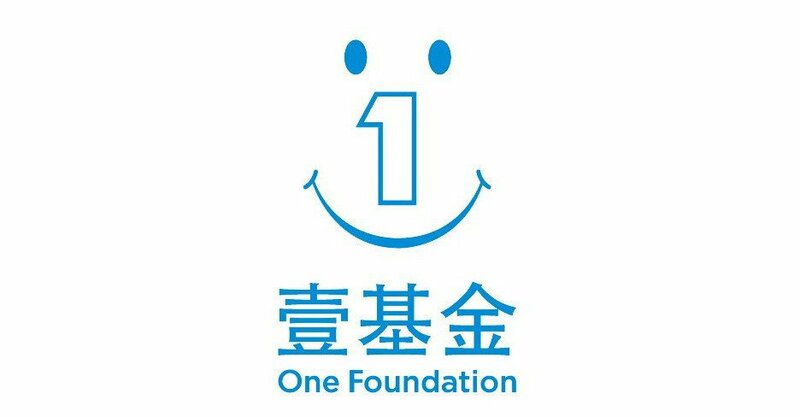 The One Foundation was originally created in 2007 by renowned Chinese film actor Jet Li, who then took a year off film-making in 2008 to promote the foundation. Private fundraising organizations are highly regulated in China - even now most applications to create one are simply rejected, so for the first three years of its operation the One Foundation was not even an independent organization; instead, it operated under the umbrella of the Red Cross Society of China, a government-connected organization operated by the Ministry of Health. However, its partnership with the Chinese Red Cross was a restrictive one. "Jet Li complained that the One Foundation had little say in deciding on the use of money it had raised," Xinhuanet's Wu Chen and Wu Caixia write. "According to his plan, his foundation sought to focus more on supporting domestic grass-roots NGOs, which lack both money and professionals, while the Red Cross Society of China is an organization paying more attention to disaster relief." In 2009, the Chinese government started a trial project in its "special economic zone" in Shenzhen to streamline the registration process, allowing the local government of Shenzhen to register foundations - a power previously only held by the federal government. Shenzhen authorities were willing to work with the One Foundation, and it was finally able to register as an independent foundation in 2010. In 2011, the Chinese Red Cross's reputation was damaged by a scandal in which a 20-year-old claiming to be the "commerce general manager" of the organization, Meimei Guo, publicly flaunted artefacts of an extravagant lifestyle that many assumed had been paid for with charity money (it was later discovered that she was the girlfriend of someone involved with the Red Cross; he has since resigned). Concerns over government corruption and extravagance are common in China; the Chinese Red Cross is administered by the Chinese Ministry of Health, and so its employees gain the "iron rice bowl" guaranteed job security and welfare benefits of public servants - benefits that many feel are undeserved when ordinary Chinese working outside government agencies have little of either welfare benefits or job security. The Meimei Guo incident reignited these concerns, and two investigations into the matter was carried out. When the Ya'an earthquake struck in April 2013, the total lack of confidence in the Chinese Red Cross became painfully clear. "Right after the quake," Financial Times columnist Julie Zhu writes, the RCSC said on Weibo, China’s answer to Twitter, that it had sent a team to 'inspect' the quake-hit region. Tens of thousands of Chinese microbloggers fired comments back. The message from most of them: 'Get lost'". "As an ordinary citizen, I will never donate a penny to the Red Cross Society,” one user of Weibo, the Chinese equivalent of Twitter, wrote, and another added “The RCSC is shameless. The earthquake is terrible enough. We don’t need you to ‘inspect’. Get out of our sight." By the end of the day, the agency had received only $23,000 worth of donations. Because of its past relationship with the Chinese Red Cross, the One Foundation also took some of the reputational damage from the Guo Meimei incident; its staff had to frantically rush to remove an old Red Cross link from their site when a user stumbled upon it. However, at the same time the foundation is quietly gaining credibility as an alternative, although both organizations are careful to avoid outright competing with each other for individuals' donations. Soon after the earthquake struck, the One Foundation also decided to try something new: accept donations in bitcoin. The organization released the address on April 21, and within two days it received over 230 BTC - marking what appears to be the first significant Chinese Bitcoin fundraising drive in history. "Welcome geeks and hackers' bitcoin donations to the One Foundation," a representative wrote in a brief reply written in Chinese when asked about the donation address by Bitcoin Magazine. The 230 BTC donated are worth about $30,000 today; when compared with the agency's total receipts of $2.4 million USD, this means that, within the scope of this particular fundraising drive, Bitcoin was responsible for an entire 1% of China's largest independent charity's revenue. The amount was not even from a single donor; the three largest donations were 88, 39 and 25 BTC respectively, but all other donations were 10 BTC or lower. Given that the organization had started accepting Bitcoin quietly, with no news of its Bitcoin acceptance or even the earthquake in the English-speaking Bitcoin media, this leads to an important question: where did the donations come from? There seems to be only one logical answer: a growing, and already quite developed, Bitcoin community in China itself. There are also other signs that point to a massive surge of interest in Bitcoin in the Chinese community. Just like everywhere else, interest in Bitcoin according to standard indicators like Google Trends and exchange trade volume has risen massively over the past four months, but in fact Bitcoin in China is growing even faster than elsewhere. While trade volume at the leading exchange MtGox peaked at about 10 times January volume during the peak two weeks ago, trade volume on BTCChina increased by a factor of 30. April 23 became the first day that any country downloaded the reference Bitcoin client more than the United States; the country in question was China. There are a number of reasons to believe China has solid potential to take up Bitcoin. The Chinese already have experience with virtual currency in the form of QQ Coin, although that particular attempt at virtual currency was eventually crippled by Chinese regulatory authorities. Bitcoin may enable Chinese users to evade currency controls to a much greater extent than previous centralized systems like QQ Coin ever did. Earning or trading virtual currencies in video games is also a popular occupation; the archetype of a "Chinese gold farmer" collecting in-game assets in massively multiplayer online games to sell for profit is quite real. The greatest hope, however, lies in bridging the Chinese and Western worlds. Most of North America and Europe are standardized on a number of proprietary platforms for payment: PayPal, Visa and Mastercard come to mind. China has its own equivalents; Alipay is perhaps the best known. Bitcoin will not fix the language barrier between the two worlds, but it can certainly make economic interaction much more seamless; a store catering to Chinese expats called IWannaBuy started accepting bitcoins only a few weeks ago. 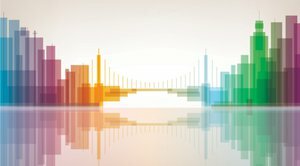 Bitcoin may even end up being a significant boost for the entire Chinese non-profit sector; charitable donations in China currently only amount to about 0.09% of GDP, so the fact that Bitcoin opens the door for these organizations to receive international donations - from, say, Chinese expatriates living in Canada and the US with families still in China, opens an opportunity for Bitcoin and Chinese charity at the same time. The Bitcoin community has just shown that it alone is willing, and able, to donate as much to the One Foundation as all of China did to the Chinese Red Cross - suggesting that Bitcoin may play a significant role in China's non-profit, and perhaps even for-profit, sectors in the years to come.